Founded in 1998, American Contracting Services, Inc. is a general contractor specializing in residential and commercial renovations. In 2018 we celebrate our 20th year, operating out of our own building in Towson, just north of the beltway. Our residential renovations include additions, master suites, kitchens, bathrooms, basements, garages and outdoor living spaces. We also specialize in the modification of homes to accommodate those looking to age in place or accommodate significant medical issues or other disabilities. Our commercial division projects include tenant fit outs and renovations of existing buildings for new purposes. Our company has earned a solid reputation as an honest and reliable contractor. We have been the former exclusive remodeler for BGEHOME. We have been awarded Remodeler of the Year Awards from the Maryland Improvement Contractors Association in various categories each year since 1999 until 2015 when MICA ceased operations. In addition, have held an A+ rating from the Maryland Better Business Bureau and an A rating from Angie’s List for years. Our co-owners, Tim Lanocha and W. Bruce Quackenbush, Jr. are active professionals in the remodeling industry. Tim is a former board member of a statewide professional organization of remodeling contractors, the Maryland Improvement Contractors Association. He has served as an expert witness in court cases involving remodeling contractors. In 2013 Bruce was appointed by the Governor to the Maryland Home Improvement Commission, the agency that regulates the 16,000+ contractors in the state. He serves as Vice Chairman of the Board of Directors of the Better Business Bureau of Greater Maryland, Vice President of the Episcopal Housing Corporation and as a Board Member of the Historical Society of Baltimore County. Lean on our experience and expertise for your next remodeling project. We love making dreams come true. Use the button below to get a conversation started about your renovation project. 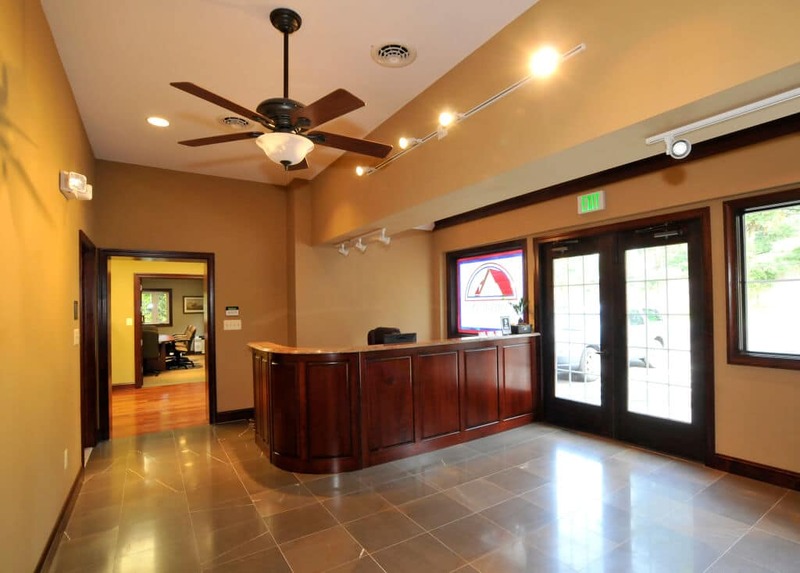 Our office is located in Towson, Maryland. It includes space for design and consultation for your next project. American Contracting has been serving primarily Baltimore City, Baltimore County, Howard County, Harford County and Anne Arundel County.